Avery Weigh-Tronix stainless steel ProDec floor scale is accurate, affordable and suitable for most industrial weighing applications. The stainless steel ProDec is equipped with hermetically sealed stainless Weigh Bars. The unique Weigh Bar sealing prevents air, gas and moisture from infiltrating gauge and wiring areas. Available in stainless steel, the ProDec floor scale is tough, accurate, affordable and suitable for most industrial weighing applications. The stainless steel ProDec is equipped with hermetically sealed stainless Weigh Bars. The unique Weigh Bar sealing prevents air, gas and moisture from infiltrating gauge and wiring areas. The stainless steel ProDec model, was designed with the food and chemical industry in mind and is available in standard sizes ranging from 36”x36” to 84”x60” and capacities from 2,000 lb to a more heavy-duty 10,000 lb. 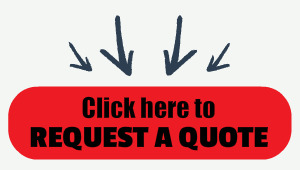 10,000 lb decks may be legally installed as a 5,000 lb capacity scale with 1 lb increments. 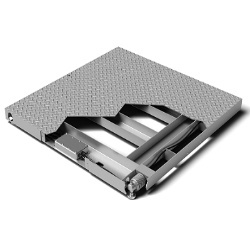 When used as a 5,000 lb scale, 10,000 lb ramps, pit frames and accessories are required.